The Trust was formed in 2000 following the discovery in 1998 of an Iron Age ditch in the garden of The Old Vicarage next to Mellor Church. Excavations continued to 2009 and have been described as the largest excavation for a generation of a hillfort in North West England “with results as important as those at Beeston Castle”. Discover the people and places of Wigan Borough both past and present at the Museum of Wigan Life. Holding over 30,000 objects relating to life in Wigan Borough, past and present, the museum’s collections include fine art, archaeology, social history, natural history, coins, decorative art and industrial history. The National Waterways Museum at Ellesmere Port unlocks the wonders of our waterways. With its delightful waterside setting, flotillas of historic boats and fascinating displays housed in fine Victorian buildings, the museum is a great day out whatever the weather. The Wordsworth Trust brings art and literature alive for tens of thousands of people every year. As well as Dove Cottage and its neighbouring historic buildings, the Trust looks after an important collection of works by Wordsworth and other writers and artists of the period. At the heart of their collection are manuscripts that Wordsworth’s descendants gave to the Trust in 1935. Knowsley has two contemporary art galleries which are housed within libraries in Huyton and Kirkby, in addition to Prescot Museum which focuses on the local history of the area including the important clock and watch making industry. The Atkinson is Southport’s beautiful new home for music, theatre, art, poetry, literature and history, right in the middle of Lord Street in Southport town centre. It offers an exciting and varied destination for families, cultural tourists and arts enthusiasts alike, with a full day and night time offer. Lancashire County Council’s Museums Services’ venues examine Lancashire life, its history and heritage. Their venues include Clitheroe Castle Museum, Gawthorpe Hall, Helmshore Mills Textile Museum, Judges’ Lodgings, Lancaster Castle, the Museum of Lancashire, Queens Street Mill Textile Museum, and Lancashire Conservation Studios. The idea of a museum in Ribchester was conceived by Margaret Greenall, originally from Warrington and a member of the famous brewing family, in the early years of the 20th century. Her objective was to stem the flow of artefacts out of the village that had occurred ever since Ribchester was first recognised as a site of special historic interest. Ribchester Museum of Roman Antiquities was thus opened under Miss Greenall’s direction in 1915. The Manchester Museum and Art Galleries group – incorporating Manchester Art Gallery, Platt Hall, the conservation studios at Queens Park, the Whitworth Art Gallery and Manchester Museum – is an innovative and uniquely Mancunian partnership. All part of the University of Manchester, all organisations share funding, staff and expertise, and through collaboration, make something greater than its individual parts. Salford has a proud cultural and creative heritage. The city’s range of museums and galleries combine the old with the new to provide opportunities for visitors, local people and families to take part. From the Priest’s Hole to the attic Towneley Hall is fascinating with period rooms covering several centuries of life at the hall. The hall was the family home of the Towneley’s for nearly five centuries, today their stories are brought to life by our company of re-enactors who uncover their dramas, triumphs and tragedies. Astley Hall is a museum and art gallery housed within a Grade I listed historic house. The Hall is set within the beautiful surroundings of Astley Park which include historic woodland, a lake, a fully renovated Victorian walled garden alongside clean and modern facilities for visitors to enjoy. Ranging from Egyptian mummies to local history and wildlife, Bolton’s collection has something for everyone. The Bolton Museum group represents the Central Library and all branch libraries, Bolton Museum and Archives, the Aquarium, Smithills Hall and the Hall i’ th’ Wood Museum. The People’s History Museum in Manchester is the national museum of democracy. It aims to engage, inspire and inform diverse audiences by showing that ‘there have always been ideas worth fighting for’. The Museum of Science and Industry is devoted to inspiring visitors through ideas that change the world, from the Industrial Revolution, to today, and beyond. IWM is unique in its coverage of conflicts, especially those involving Britain and the Commonwealth, from the First World War to the present day. We seek to provide for, and to encourage, the study and understanding of the history of modern war and ‘wartime experience’. This article was originally published by Arts Professional and is shared here for our members information. One major work by a leading British artist will be purchased each year for a UK museum or gallery through a new scheme launched by the Contemporary Art Society (CAS). The ‘Great Works’ initiative aims to address the lack of works by contemporary British artists in regional collections and “balance the London bias”. The 70 CAS member museums – 62 of which are based outside of London – are invited to apply for the award. CAS said: “The successful applicant will make the case for the acquisition of work by an artist with a substantial connection to the museum’s existing collections, city or region.” The Society will then work with the organisation to identify an appropriate piece to acquire. The deadline for applications is the end of February 2016 and the acquired work will go on public display at the winning museum in 2016/17. For a link to the original article published on Arts Professional, Click Here. 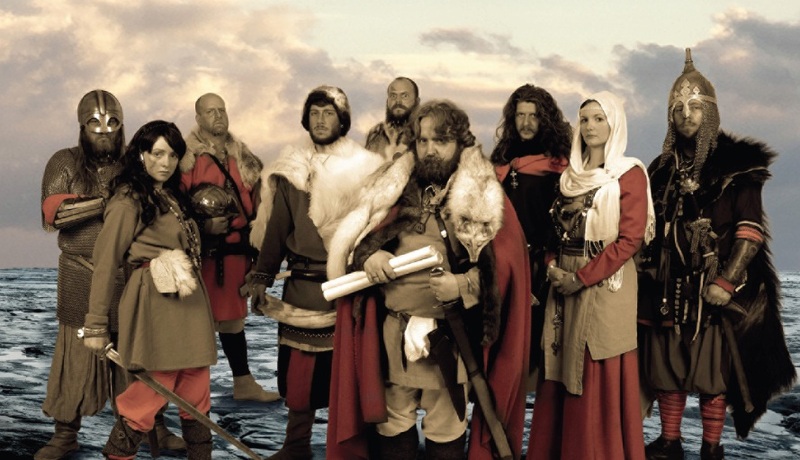 For their latest exhibition offering, the Manx National Heritage continues its partnership with the York Archaeological Trust in their exciting Viking exhibition Heroes, which tells the stories of eight ‘celebrities’ of the Viking world. Delving into the world of Viking myth to uncover the superpowers of the gods such as Thor and Odin through story and play in an interactive area, the exhibition tells the story of numerous other Viking legends including Eric Bloodaxe, King Knut the Great, Harald Bluetooth and Leif the Lucky, and some famous Viking women including Aud the Deep-minded. 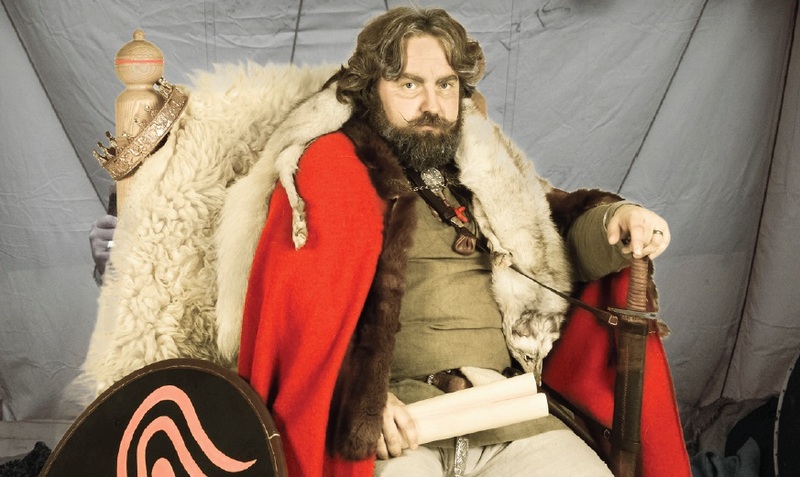 Visitors can explore how these Viking ‘Heroes’ were celebrated and commemorated through the stories and myths that surround them by looking at archaeology, sagas, stone carvings and burials of the Viking Age. The exhibition will also feature a Viking Age skeleton displaying the battle injuries of a warrior, replica commemoration stones. The exhibition’s main feature is the story of Godred Crovan, also known as King Orry, who made three attempts to capture the Isle of Man and bring it under his rule. When he finally did, Godred went on to reign for 16 years. A wise and powerful ruler, he extended his power beyond the Island, subduing Dublin and the east coast of Ireland, and so dominating the Irish Sea. Museum artefacts are usually displayed behind glass often too fragile, small, heavy or valuable to allow the public to handle physically making most museum artefacts for display only. With the increasing rarity that museum objects or a replica object can be touched or held within the museum setting, Manchester Museum and technology partner TAD Systems Ltd embarked on an investigation into the use of Haptic technology and Digital Touch replicas to help find alterative interactive methods to use with their collections. 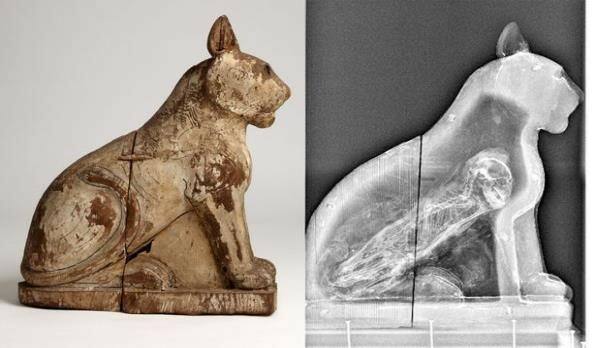 An ongoing project which recently receiving a further two years funding to continue their investigation, as part of the project, the museum are integrating an Egyptian Cat sarcophagus from the Museum’s collection into Haptics to produce a digital touch replicas which will deliver information to the visitor when touched. More information can be found at the project site – http://www.ambavis.eu/. For those interested in finding out more about the project’s background, a blog detailing the early development of its technology can be accessed HERE, or you can contact Sam Sportun at Manchester Museum by email – samantha.sportun@manchester.ac.uk. Lancashire Council has passed radical plans to close five of the 11 museums in its control and retain five others only on condition that they are self-sustaining through admissions takings. The Council had previously intended to earmark £1.2m for culture in 2015-16, increasing by 100k the following year. The revised budget brings all cultural spending down to just £98k, a 92% reduction. It also plans to halve its libraries from 74 to 34, saving £7m. The Council has already announced cost cutting of £152m over its whole budget for the next three years. Leader of Lancashire Council Jennifer Mein described the decisions as ‘heartbreaking’ but said “by 2017-18, we will only just have enough money to pay for our statutory services. At the same time, the government has made clear that it will make further substantial cuts to council budgets over the coming years.” There will now be a 12 week public consultation on the closures, which will include considering alternative models such as community run museums. 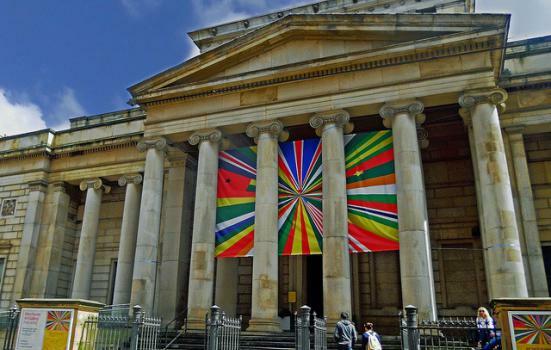 John Orna-Ornstein, Director of Museums at ACE, said that the Arts Council is in conversation with Lancashire Council, particularly as some of the collections in the museums earmarked for closure are Designated. HLF has invested substantially in two museums likely to close: £919,400 in the Museum of Lancashire and £720,000 in Helmshore Mills Textile Museum. It could potentially reclaim the money if Lancashire goes ahead with its plans. 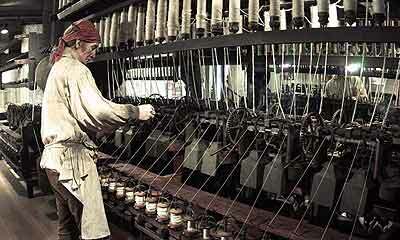 A local petition has been launched to save the textile museums. The news has also been covered by several other publications and media platforms, including Museums Journal, Museums Journal, Rossendale Free Press, Change.org, BBC.